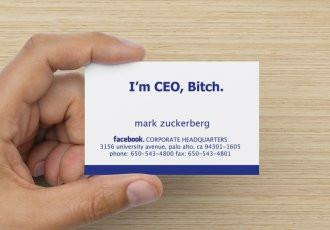 Your business card is important since it is responsible for creating an early impression on people who you give it to. Though a lot of us consider it be trivial and unimportant, a ‘good’ business card can go a long way in starting the relationship you wish to build with the other person. Design – The design and layout tend to suggest a lot about your approach towards things in life. Also if you are representing a company, the business card speaks about the culture of the company. Too much text can suggest a diligent culture, a lot of designing a creative culture and very little of both can suggest a to the point culture with a focus on direction. Content – Content also speaks a lot about you. The amount of content and the way of expressing it are key. So now that we know why a business card is important, how do we design one for ourselves. I feel there are 2 factors we should consider before designing one. The Target Receiver – A business card is given to all the people we meet and hence we might think there is not specific target receiver. However, there is. If you are a B2B business, clients are. If you are a B2C startup, probably investors and mentors are. Try to identify who your prioritized receivers are and make a card which would appeal to them. Goal – Once you know the target receiver for the card, you should know what the card should do for you. For instance, if you are approaching clients, your card should speak about things they would value. Maybe things like year established in or number of clients served etc. can be mentioned without cluttering it too much.